The first ad is from 1902 and the second from 1975. The ads are available here for many other years. 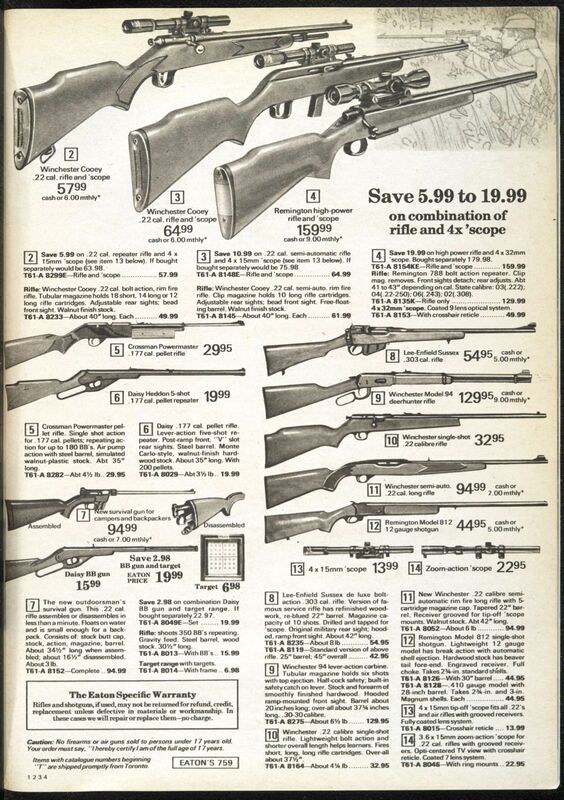 Mail order guns in Canada were available up until 1979. A history of Canadian gun control is available here (1945-1977) and here (1867-1945). 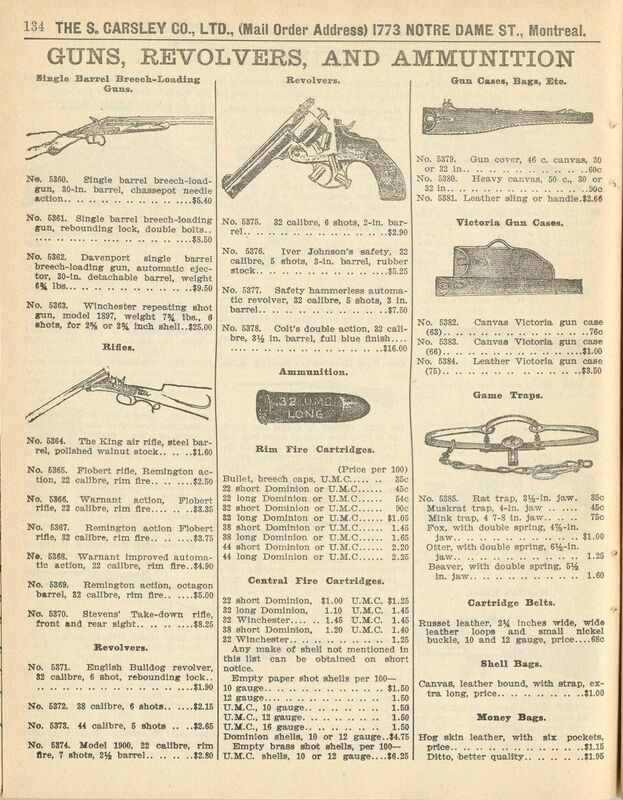 It must have been a bloodbath of mass shootings in Canada back then- in the 1934 and 1936 catalogs they had a 60 shot rifle. BY MAIL ORDER! !